For most, taking your parents to the rave is a big no-no. 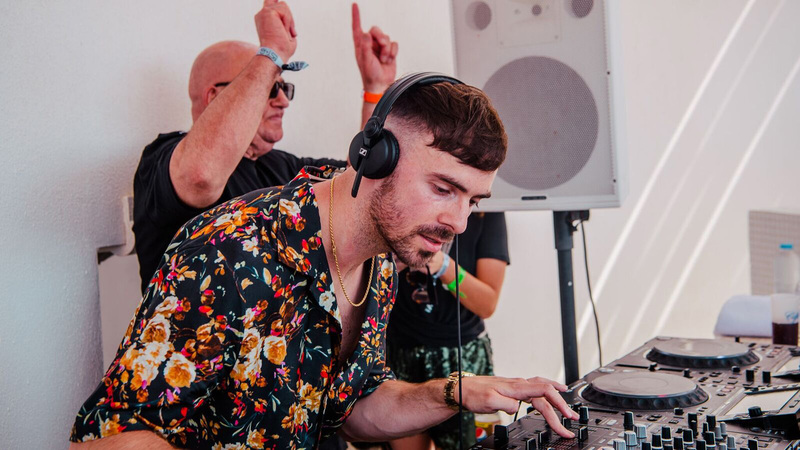 But Patrick Topping likes nothing more than getting his dad out to see one of his sets. 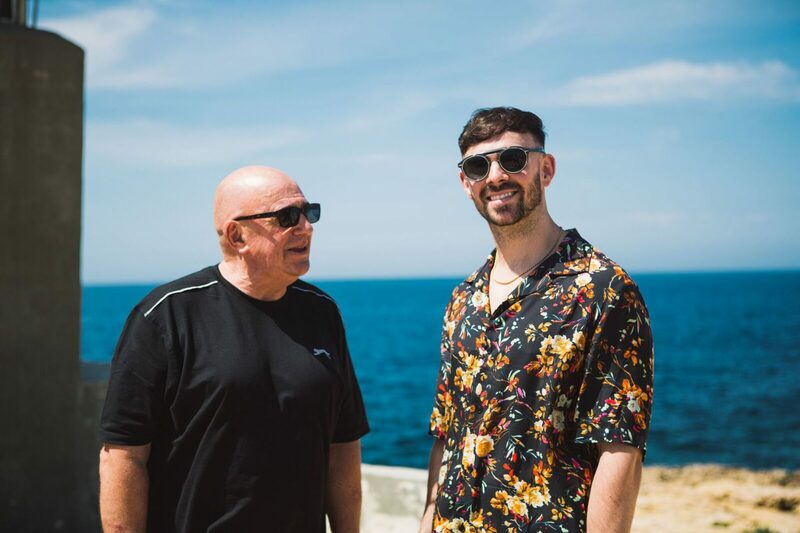 We caught up with Patrick Topping and his dad Brian at AMP Lost & Found in Malta to find out what makes their father and son relationship tick. I’m not sure about the idea that dad’s and son’s can be friends, but Patrick and I have always enjoyed doing things together. After he did his GCSE’s I said, ‘well, you’ve worked hard, let’s go on a little trip together,’ and we went off to New York and then after his A-Levels I took him to LA. When I grew up in the 60s there was a tremendous gap between myself and my parents and I suppose I was conscious of not repeating that. Whether it was going on bike rides or going down to London sightseeing, we always had a tremendous time together and thankfully he liked the bands I played in the car too, like Sham 69 or The Clash. I always played ‘Shiny Happy People’ by R.E.M and that became his favourite song. One of my abiding early memories of Patrick is us persevering wth a book called Roger Red Hat when he was learning to read. I hated it and he hated too but when he got into gaming in his teens, I think he was thankful that he could get through massive instruction books that helped get to different levels in the game! In school he was massively into football and he was good at it too. He ended up going to university to study Sports Management so he followed that interest into adulthood. I wouldn’t say he was naturally academic but he has a great work ethic and worked extremely hard at university. I remember whenever I called him he seemed to be on his way to the library and he ended up with a 2.1. He was tempted to leave uni early, though, because he’d started getting into his music. It was a four-year course and I encouraged him to stay as I knew it would give him a good work discipline and analytical ability and I think he’s been able to use those skills in his career. I’m very proud of what he’s managed to do in his career. The entertainment industry is littered with casualties and when you’re young, you think you’re invincible so I think it’s brilliant that he’s managed to do it while keeping his head screwed on. I’ve seen him DJ a few times now and he knows people have paid good money to come and see him and he has a responsibility to entertain them. He’s always been quite a deep thinker and doesn’t rush things and I think that’s helped him keep his feet on the ground. And I think staying in Newcastle near his friends and family has kept him balanced too. 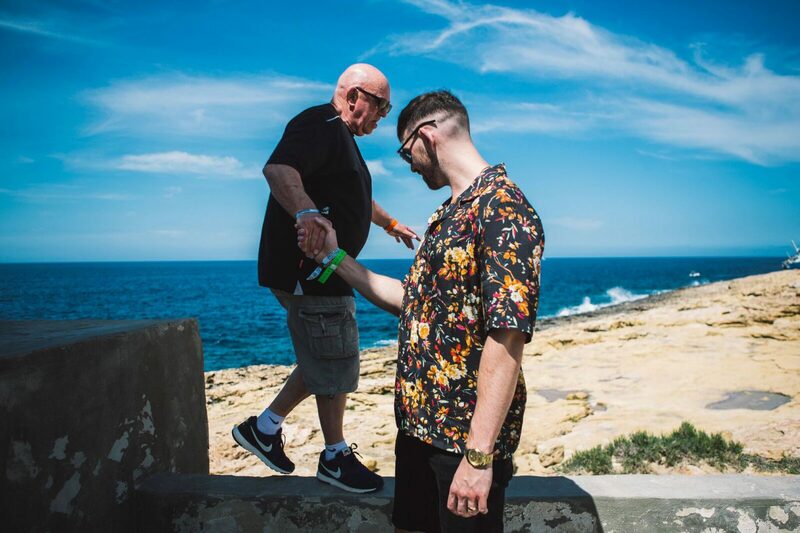 There was pressure for him to move to London or elsewhere in the world for a while but I think maintaining all the relationships he had prior to being a DJ rather than being around yes-men all the time has helped him. Being his driver is my part-time job now and he’ll get me round sometimes to listen to a new tune he’s made. We have disagreements sometimes but we’re very honest with each other and never really fall out. We both share a love of music and seeing people have a good time and I think there’s generally a pretty good outlook to have on life. My dad was definitely instrumental in getting me into music. I was always amazed by his CD collection as a kid. He had a CD cabinet that covered the entire wall! It probably wasn’t actually that many CDs but as a kid it just looked like this huge library of music to me. ‘Shiny Happy People’ by R.E.M was my favourite song because he played it all the time. He actually ended up introducing me to rave music too. There was a kind of rave music in Newcastle called Mákina that’s around 180bpm. He didn’t really like it but he gave me a cassette of it when I was around 11 and that was my first introduction. He was definitely hands on as a dad. I used to play football and him and one other dad were the only parents that went every single week; they’d be driving everyone around to all the games. He was the kind of dad who was always helping me with my reading or taking me to the park to practice free kicks. When I was a kid my dad worked for the local council and as part of his job, he was the director a local festival called Orange Evolution Festival in North Shields. They had acts like Bob Geldof and Jools Holland on, and there was another time when he had to help organise a Radio 1 roadshow thing with people like Judge Jules and Sonique playing. Seeing him do that definitely helped set me on my path to promoting nights. We’ve always had a close relationship and I’ve always spoken to him about everything. We speak every day and if I’m at home we pretty much see each other every day. He’s actually just been round to listen to a new track I’ve been working on. 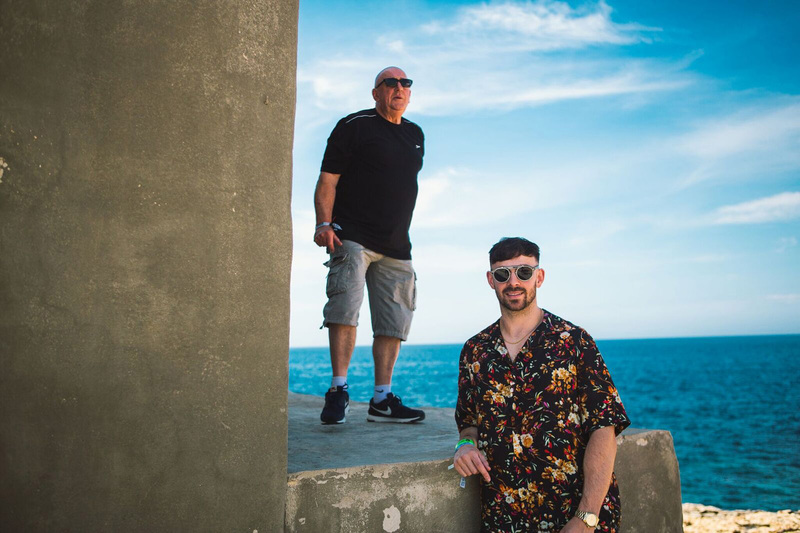 When I finish a tune I always send it to my agent or managers or other people I work with, but it’s really nice to have someone in the room to hear it so I always play it to my dad or my wife. I get some good constructive criticism from him! Although my dad never went to university, he’s quite academic and well read. He’s got loads of different interests so was keen for me to go to university and get an education. Although I didn’t end up following what I studied as a career, I think the discipline it taught me has helped in my career. I wouldn’t say I was a natural student. 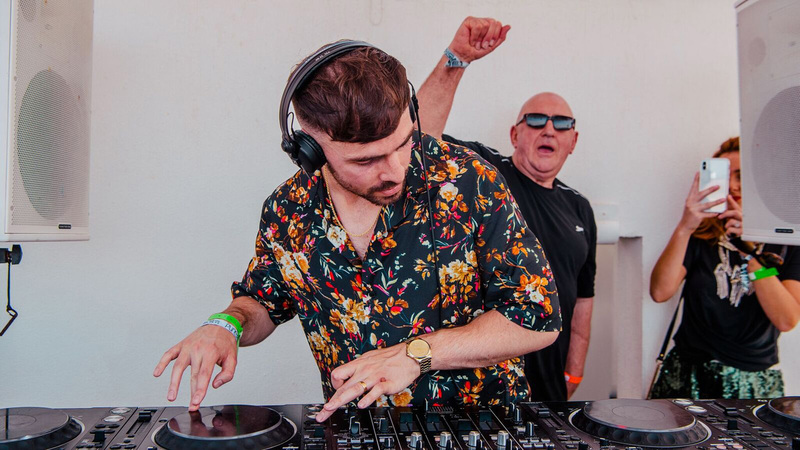 When I first started taking music and DJing seriously, I wanted to quit but him and my mam persuaded me to stay on and I’m glad that they did. 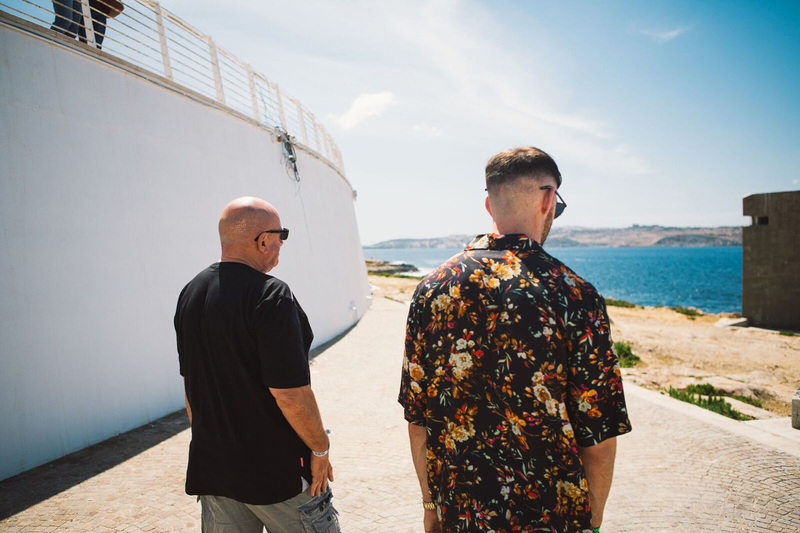 When I was a teenager he took me to New York and LA so it’s nice now for me to be able to take him to things like Lost & Found in Malta and I took him to Ibiza a few years back. At Lost & Found the crowd started going nuts and I thought I was smashing it but it was just because he kept appearing in the booth! There’s a few videos going round Facebook of him there. One of the main reasons I still live in Newcastle is because both my parents are here. They fight over who’s going to come and pick us up from the station or take us to airport!